Profiles | Niagara Caregivers & Personnel Ltd. Kids, Kids, Kids!! Tanatsiwa is very anxious to come to Canada to work as a Nanny. She has years of experience working with children as a Nanny, caring for her own family as well as working as a primary teacher. She loves to cook, bake and a clean home along with reading and music. She has good organizational and communication skills, excellent references and believes in creating a positive and happy environment for children, one in which they feel protected and can thrive. 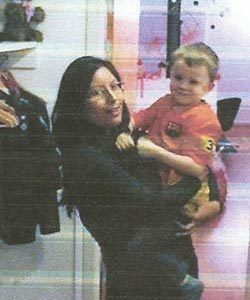 Tanatsiwa knew at a young age that her career would be with children. She has experience with all ages of children including newborns and twins. 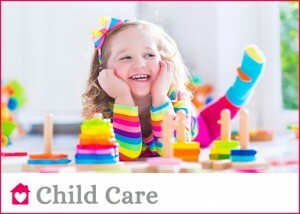 As your children’s Nanny their days would be filled with painting, singing, colouring, dancing, reading and learning! She would be happy to have a skype interview with you to learn more about each other. Tracy has a passion for caring for people and cooking. She has experience as a volunteer Nurse in the hospital , a health care assistant in a nursing home , in home Caregiver for a gentleman who suffered from a stroke and as a Nanny with a one and six year old. Tracy took the Health Care Management course during her time in England. She likes to jog each morning to stay fit, read and loves to cook and bake. Her friends describe her as friendly and hard working. Michael is currently working as a Home Care Assistant ( PSW). He has experience working in a hospital, nursing home and private home care. Michael’s skills include a heart saver AED course, education and training course (level 5) on health service skills, holistic approach to primary course and basic life support and first aid. As a Caregiver he has experience with personal care/bathing, dressing, food preparation, supervision of medication and encouragement for patient independency when appropriate He enjoys walking, music, photography, cooking and spending time with his three daughters. Joan enjoys walking, exercise, puzzles, being creative and enjoys painting, decorating and gardening as well as music and movies. Joan is currently working in England as a Health Care Support Worker with seniors, prior to that she was working as a Personal Support Worker for a 71 yr old for 4 years. She also has experience working for the Health Work Exchange as a Health Care Assistant with adults and children with eating disorders. Joan has worked in England and Florida and would love to work for senior adult in Canada as she feels with all of her experience she would be beneficial to someone in need of a Caregiver. Katharine speaks English, French and Spanish and can cook Vegetarian, European and Western (Canadian) dishes. She is interested in working in Canada for a minimum of two years with a family as a Nannny/AuPair. She has experience with all ages of children, cooking and household duties. She has experience with children with special needs and is taking driver’s lessons now to obtain a driver’s licence. On her time off she enjoys reading visiting new places, walks, going to the library or a fitness center. Katharine has previous experience working as an Au Pair in Norway with a family with four children. Liz is currently working as a teacher is a private institution teaching English. She speaks Spanish, English and French. Liz has experience as a teacher as well as from being an au Pair in Holland with a family with two children. She helped the family with light housekeeping, cooking and helping the kids with their homework. She enjoys spending time with her family, dancing, music, movies and cartoons. Liz has experience with all ages of children and would like to work with a family with one to three children. Hanna is currently working as a private care nurse with a senior lady in her 90’s. She loves her job! Unfortunately her patient requires a lot of care and assistance 24 hours per day. Hanna is very interested in coming to Canada to work as a Caregiver and assist other seniors in their homes or work with a family with children. Hanna enjoys spending time with her niece and their dog, drawing, sketching and watching TV or listening to music. Hanna helps her Mom raise her niece who is now 9 years old. She loves children and loves arts and crafts and playing games. She has experience with all household duties and can cook Filipino dishes but willing to learn western dishes with a recipe. Vilma is a Nurse Assistant and has been working as a Nanny for 11 years. She is a good cook, has a driver’s licence and a good driving record. She feels she has an acceptable level of English. Vilma has attended workshops and intensive training on Positive Discipline and Children’s Safety, has First Aid & CPR, is reliable, organized and always on time. She is looking forward to working in Canada and is able to work in a home with children and seniors due to her Nursing background. Arlene enjoys cooking, baking, watching movies, reading, scrapbooking and gardening. Outdoors she enjoys jogging, walking, baseball, bike riding and time at the beach. 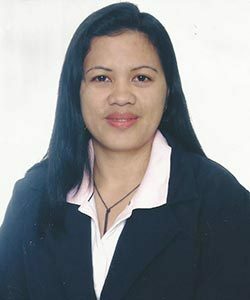 Arlene is currently working as a Caregiver in the Philippines caring for a two year. She is also responsible for the housekeeping and cooking. She is fluent in English and started taking English in elementary school. Arlene was the primary Caregiver for her Grandmother who suffered from high blood pressure, incontinence and temperament issues. She provided full care from bathing to nutritious meals. 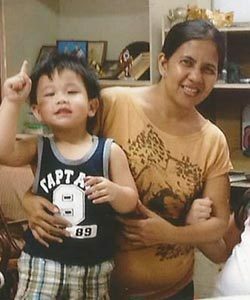 Arlene’s current employer stated she is reliable, organized, hard working and devotes her full attention to their son. Christine is currently working as a Nanny in China with three children under 6 years old. She loves children as they are fun to be with and she enjoys reading to them and teaching them. Along with child care she is also responsible for cooking and household duties and laundry. Christine really enjoys working as a Nanny and hopes to have the opportunity to work in Canada. Her employer states she is cheerful, organized and reliable and she has truly made their home comfortable to live in. The family have a child that is developmentally challenged and Christine displays endless patience, acceptance and encouragement. They have recommend Christine if you are seeking a dependable Caregiver who will love your child unconditionally. 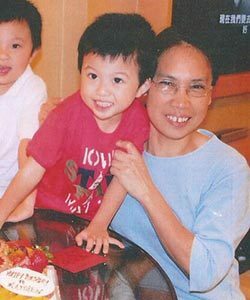 Mary Ann is a lovely woman who has 14 years experience caring for children and elderly in Hong Kong and Turkey. She is very interested in finding an employer in Canada and taking care of their family. 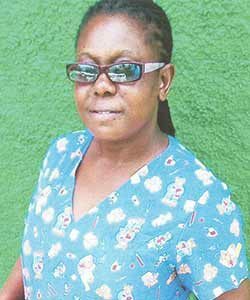 Mary Ann took a Household Services Training course and has improved her skills over the years. She is a good cook, has experience with all household duties and experience with all ages of children, senior care and has cared for seniors with Alzheimer’s and disabled children and adults. She enjoys hiking, biking, going to the beach and spending time with family and friends. Cristina loves working with children. She enjoys teaching, playing indoor and outdoor games, art activities plus teaching then to sing and dance. Cristina has experience working as a Domestic Helper in Hong Kong as well 4 years as an Au Pair in Netherlands, Denmark and currently in Norway. She loves to cook and has experience with all household duties. She is a licensed Midwife and worked in a birthing home for 2 years. She is anxious to find an employer in Canada and live together as a family and enjoying an eventful year! Emaleen is working in Singapore as a Nurse. She has experience working with children and seniors. She prefers as position with seniors as she has experience senior care, disabilities, stroke, dementia, personal care, critical and over 9 years experience in Nursing. She describes herself as a jolly person who is easy to get along with and is hardworking and diligent. Emaleen can cook Filipino food and can cook different dishes that she has learned from a YouTube tutorial. She cannot bake but is willing to learn. On her day off she enjoys biking, jogging, watching a movie or going to church. Emaleen said her prospective employer will not regret choosing her as she will do her very best as she values her work. When in Canada she wants to see the beautiful Niagara Falls, celebrate Canada day in a Canada t-shirt, experience snow and take beautiful pictures during the fall season. Lilibeth is currently working as a private in home Caregiver since 2011. She is cardiopulmonary resuscitation and first aid certified. Current duties include daily personal care, grooming, and meal preparation, and light housework, laundry, organizing leisure activities and assisting her employer with running the home. Meaningful encounters with her clients have helped her build great character and a humbling spirit. Her eternal goal is to be a person that both her client and their family can trust. Friends and family describe her as a bubbly, positive, jovial, dedicated and hard working person. Lilibeth enjoys walking, cooking and baking. Education: Bachelor of Science in Commerce, Certificate for Caregiver for Elderly, Household Services Certificate. Melody holds a Bachelor of Science in Commerce and a certificate for Caregiver for Elderly as well as a Household Services certificate. Melody has many years experience. She has worked as a Nanny caring for a family with two children. One of the children’s was diagnosed with Autism when he was nine years old. She learned to deal with the tantrum and treated him as her own child. She later worked for the families senior parents who had diabetes and dementia. She was responsible for their personal care, meals and running the home. Her next employer was a couple with teenagers. Melody was responsible for running the home and cooking and helping a parent with chemotherapy and radiation treatments. She can cooking Filipino and Chinese food but has also learned to cook grilled chicken, spaghetti and lasagna and interested in learning other dishes. She has always dreamed of touching snow in real life and is looking forward to working in Canada. Education: Computer Secretarial Course, certificates for Household Services plus Basic Life Support and First Aid Training. 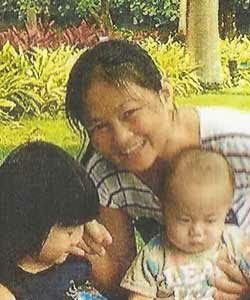 Charito is currently working in Hong Kong as a Domestic Helper and cares for two children plus a senior. 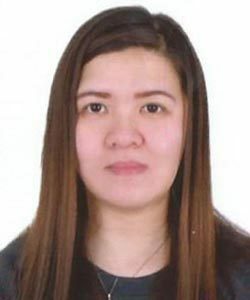 She graduated from a Computer Secretarial course and worked as a secretary in the Philippines for several years before moving to Hong Kong in 2014. Charito enjoys cooking, reading, going to church and spending time and learning from children and seniors. 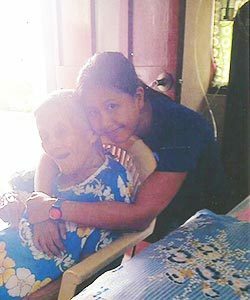 Charito also cared for her bedridden Mother for 5 years. Charito holds certificates for Household Services plus Basic Life Support and First Aid Training. 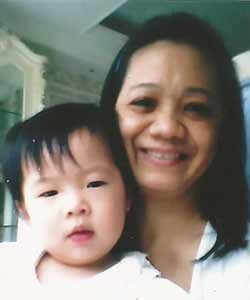 Marichel has been working in Hong Kong as a Domestic Helper/Nanny since 2008. She enjoys her work and working with children. 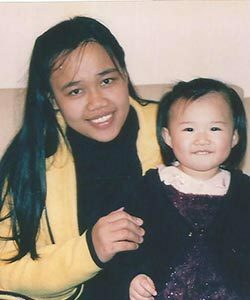 Prior to moving to Hong Kong she attended Teacher’s College (undergrad), volunteered in a Kindergarten class and Sunday school at her church. Marichel has children of her own and was part of the Parents’ Association- she was awarded Parent of the Year! Marichel also took several technical skill courses before going to Hong Kong. She enjoys playing the guitar, reading books, singing and dancing. Describes herself as hard working, loyal, honest and organized. Janice has worked in Hong Kong since 201 with the same family. She cares for their child (since newborn) and a senior relative. She loves working with babies and young children. Janice holds a diploma for Bachelor of Science in Pharmacy as well as a certificate for Household Services. She enjoys cooking, listening to music, badminton, soft ball and walking. Friends describe her as generous, friendly and understanding. Janice is looking forward to working for a family in Canada. 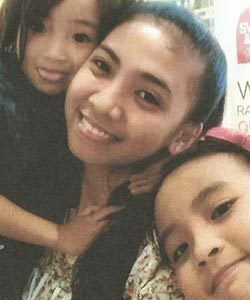 Lalaine is currently working as a Domestic Helper / Nanny since 2012 with a family in Hong. 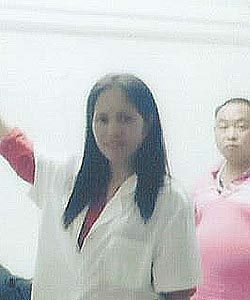 Prior to Hong Kong she worked as a Nurses Aid in Saudi Arabia. Lalaine graduated with a diploma for Practical Nursing and has a certificate for a Household Services course. 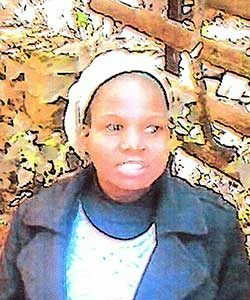 She enjoys reading, writing, church activities and cooking. Experience with all ages of children and is anxious to work in Canada as a Nanny/Caregiver. 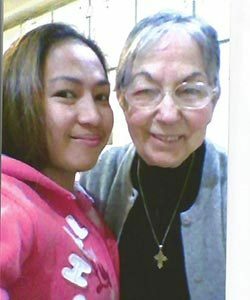 Kristel is a lovely lady who is applying for work in Canada as a Nanny/Caregiver. 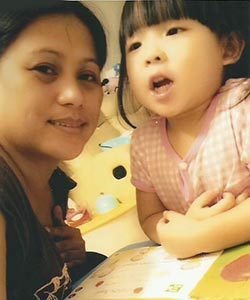 She has four years experience working as a Domestic Helper with children in Hong Kong. She has enjoyed this employment therefore would like to continue in Canada. 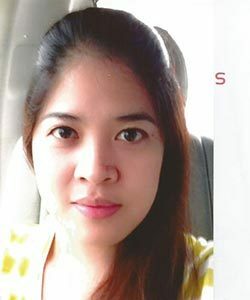 Kristel enjoys cooking, baking and pastry making and can cook Western delicacies as well as Chinese and Japanese dishes. She has also taken a pastry course. 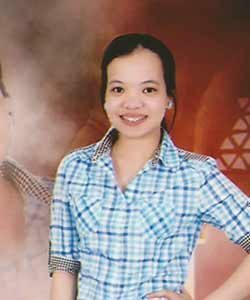 Kristel enjoys cooking, church activities, trivia games and martial arts plus hiking, ball games and hiking. She is the eldest of seven children and cared for her younger siblings while her parents worked. They were raised on a farm and grew vegetables and rice. Kristel holds a Bachelor of Science in Hospitality Management as has a Household Services certificate as well. Rachel is a Nurse and has had the opportunity of working in Government and private hospitals in the Philippines and Saudi Arabia. 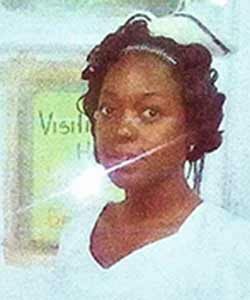 She worked in the Obgyn departments as well as in the nursery, ICU and medical wards. Rachel loves to cook and bake especially cakes and pastries. She had good knowledge of well balanced food, wellness and proper nutrition. Rachel is easy going, loves children and enjoys playing games, learning new things and planning exciting educational activities together that will help them physically and mentally. Anthonneette has experience caring for all ages of children and seniors as well as all household duties. She can cook simple dishes and loves to cook pasta! She enjoys reading, singing, cooking, decorating and organizing, spending time with friends and family and laughing. 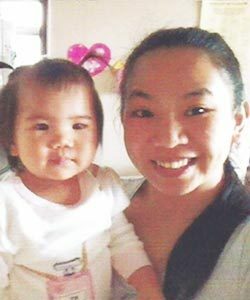 Has experience as a live in nanny caring for an 11month old child in Philippines for three years and is currently working as a clerk or a health facility in Philippines. Anthonneette is looking for an In Home Caregiver position in Canada and capable of caring for children and seniors. Marie has courses in massage therapy, food trades and Caregiver training. She completed training in a children’s orphanage and a hospital with seniors. She was also marketing major when she attended university. Maria is good at housekeeping and has a clean driving record. 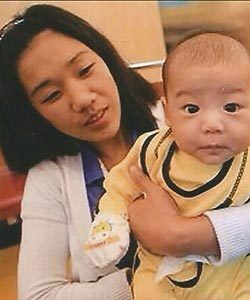 She currently working in Hong Kong as a Domestic Helper and caring for two young children. Maria enjoys cooking, reading, playing badminton and travel. She is looking forward to working in Canada! Josephine enjoys singing, playing the guitar, badminton and soft ball. Currently works in Hong Kong caring for a family with four adults and one child (2014 to 2018) and prior to she worked for a family with four adults and 3 young children (2012 to 2014). Josephine was raised by farmers and has 10 siblings. As a young child she was responsible for cooking, cleaning and caring for her younger brothers and sisters. 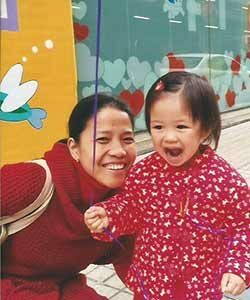 She attended university and received her diploma and obtained a certificate for Household Services when she decided to pursue a career as a Domestic Helper in Hong Kong. 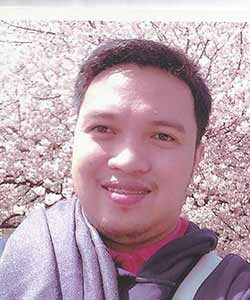 Melchora speaks Tagalog, English and Italian and has been working in Italy for ten years. She has worked with children, seniors and as a housekeeper. She finds her career very rewarding. In her free time she likes to learn how to cook and hopes to own her own restaurant one day. She also enjoys gardening, listening to music and watching films and is a nature lover and a pet lover. Melchora is interested in a position working with children or as a caregiver to a senior. Daisy enjoys reading, playing outdoor sports and watching movies. 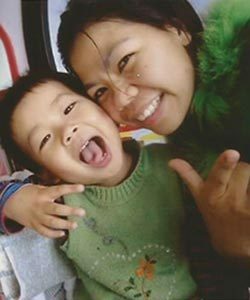 She has been working in China since 2013 as a Nanny/Domestic Helper. Daisy has experience with children between the ages of 1 yr old and teenagers as well as all household duties. Ginalyn enjoys working with children and has experience from her Nanny position as well as working as a Teacher’s Aide in a day care for one year as well as an assistant Sunday school teacher for 5 years. She also worked as a primary school teacher for 5months. 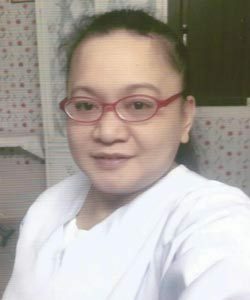 Ginalyn enjoys cooking and can prepare Filipino and Chinese dishes as well as other simple meals but is willing to learn new dishes with a cook book or help from her employer. 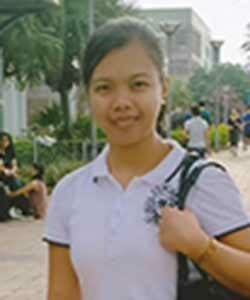 Ginalyn has a Bachelor degree plus a certificate for Caregiver & Household Services training. She is responsible for children as well as a senior woman with her current employer. Ginalyn is very interested in working in Canada as describes herself as hard working, hands-on and lots of patience and can work with minimum supervision. 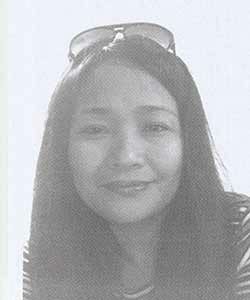 Cherry is a Registered Nurse and currently working at a Sanitarium in the Philippines. She has experience working with children and seniors through the hospital and from her personal life as she has cared for her nieces and nephews and her grandmother. She likes to cook, french fries, pancakes and macaroni and cheese but would love to learn more dishes. She enjoys photography and taking pictures of sunsets and sunrises and is in love with waterfalls! She also enjoys music, staying at home watching movies and reading. Cherry is interested in accepting a position as a Nanny with children or as a Caregiver to a senior. Daisy is a sweet lady who enjoys music, watching series, cooking, gardening, sewing, reading and bowling. Daisy has experience with children 1 to 12 years old and has some experience caring for seniors as well. She is also experienced with all household duties as can cook Canadian meals and snacks. Daisy worked in Norway as an Au Pair for 2 years with a family caring for a 7 & 2 yr old. It was a good experience, the children were angels and they all treated her as part of their family. Currently she is working in UAE as a waitress in a restaurant. If you select Daisy she is looking forward to making you her speciality – pork and chicken adobo, a famous Filipino dish. Her family and friends have told her it is simply the best! She is looking forward to working for you in Canada. 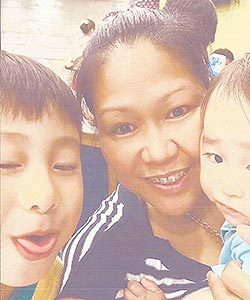 Zenaida has 7 years experience working as a Nanny in UAE and Saudi Arabia and 3 years teaching experience in the Philippines. She loves children and organizing creative games and activities for them. She is all about arts and crafts, outdoor activities and staying active and healthy. Her favorite time is putting the children to bed as she loves telling them bedtime stories, imagining and dreaming. This makes her never forget to feel like a kid again. 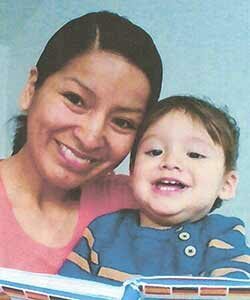 Zenaida loves animals, culture, stories of places and adventures as well as music and dancing. She is adventurous and likes learning new things like playing the guitar or piano, cooking new meals or baking. Joyce obtained her Caregiver certification in 2007 and has been working in this capacity ever since. While in Australia she obtained a diploma for Community Service Work in 2010. Part of this study was learning to work with seniors and children with special needs. Her volunteer work includes working at a seniors home, a disability day care and cared for children and children with disabilities at a school. 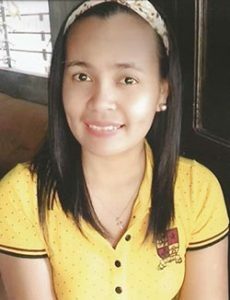 Zenaida has been working in the Philippines as a Caregiver since 2016 with a family with four young children. 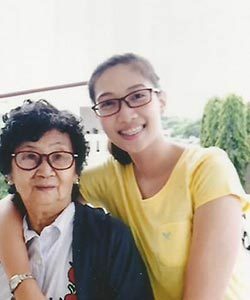 She enjoys cooking, baking, reading, singing and writing plus swimming and badminton. Kristel is seeking a Caregiver position with seniors or children. 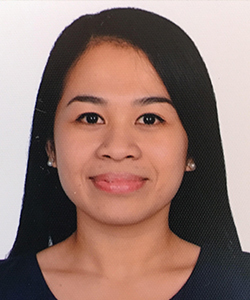 Kristel worked as a staff nurse for two years in the operating room in the Philippines and then moved to Singapore to work as a clinic nurse supervisor for two years. She is currently a volunteer geriatric nurse in the Philippines and she loves this job. She is looking forward to working in Canada with a family in a home environment. She enjoys walking, jogging, reading and some sports. 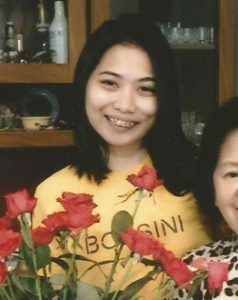 Friends would describe her as bubbly and a positive thinker. 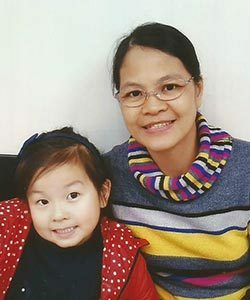 Charlyn is a friendly and caring lady who is applying for a position in Canada as a Nanny/Caregiver. She has experience with all ages of children as well as all household duties and cooking. 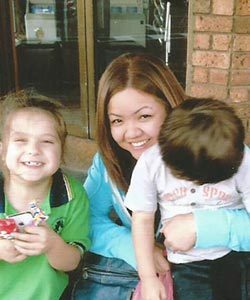 Charlyn has been working in China since 2013 working with a family with one child. She is skilled in early childhood development through education and has extensive experience as a Mother, a guardian to her niece and as a Nanny. She is very interested in a phone interview or a Skype interview to learn more about your family and what you are looking for in a Nanny. 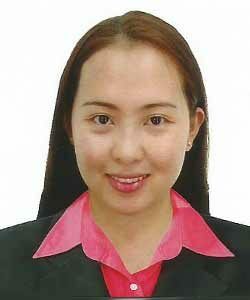 Rosalia has seven years experience working as a Nanny & Domestic Helper in Singapore and Hong Kong. 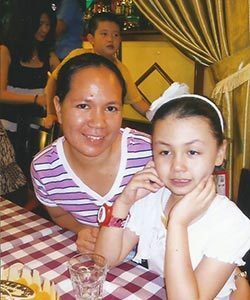 Prior to working as a Nanny she worked as a staff Midwife at the hospital in the Philippines. She has also worked as a medical supply sales representative. Her current employer has complimented her on how quickly she learned to cook for them and they like her attitude. She stays positive and works hard to have a better life for herself and her family. Gabriela enjoys walking, badminton and playing board games. She has a Bachelor of Science in Nursing and is seeking a Caregiver position with seniors. She is currently working with a senior couple since 2012. She is responsible for their daily care plus meals and housekeeping. She enjoys cooking and baking with her employer. 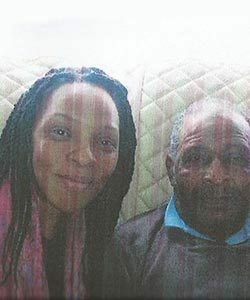 Charlene has gained her experience from being the oldest child therefore she was responsible for caring for her younger siblings as well as senior relatives. She chose to further her experience by obtaining a Caregiver NC11 certificate in 2009 with 120 of work experience caring for children especially understanding Autism Spectrum Disorder and another 120 hours caring for elderly in a nursing home. She has also obtained training for Standard First Aid and Basic Life Support. She is very excited about working in Canada as a Caregiver for children or seniors. Analiza sixth out of eight children. They are a close family and help each other with success and harsh times. 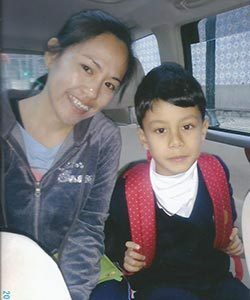 After graduating she applied for domestic helper position in Saudi Arabia where she worked for three years and then moved to Hong Kong to work as a domestic helper and she has been there since 2012. She describes herself as reliable, hardworking, caring and friendly. She enjoys spending time reading, going for walks. Analiza also holds a certificate for Household Services. She is interested in a live in position in Canada where she can work with children or seniors. 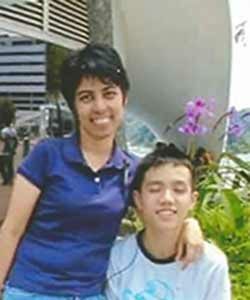 Jisan has been working in UAE since 2011 as a Nanny with a family with four children. She loves to cook and bake and is looking forward to working in Canada and cooking for her new employer. Jisan has experience with children one year and older as well as experience with seniors including disabilities and special needs. Her current employer states that she is impressed with Jisan’s enthusiasm and consistently pleasant and tackles all works with dedication and a smile. She is hardworking and dedicated. 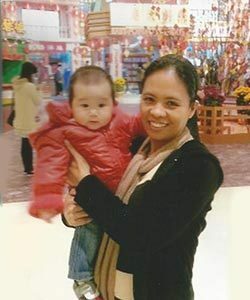 Pamela has four years experience working as a Nanny in the Philippines ad Hong Kong. She has experience with all ages of children as well as household duties. Her previous employer states she was very good with the children and household duties and that they love her and would recommend her. Joanna enjoys walking, picnics, listening to music, singing and cooking (including BBQ grilling). She also enjoys watching cooking and baking shows on TV. Joanna has experience with all ages of children as well as senior care and household duties. She is currently working as a Healthcare Assistant and cares for 2 seniors and one 5 yr old child in a home with a family since 2014. 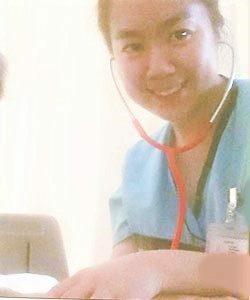 Prior to this position she worked as an Auxiliary staff in a hospital for 1 year in UAE and a staff nurse in the Philippines. Sepherine loves being around children and often find herself centre of attention when she is around children. She likes to play games and teach and watch them grow up. She has been responsible for caring for her own siblings as well as other relatives and has worked as a Nanny for two years for another family with five children. 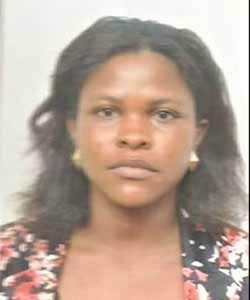 The employer stated she was very effective, devoted and displayed patience and proficiency. They strongly recommend her for a Nanny position in Canada. Mark is interested in working with seniors as he is a trained Personal Support Worker and has five years experience. He also holds a certificate for senior care First Aid/CPR. He enjoys gardening, listening to music and cooking and baking. Mark has experience with senior care and persons with disabilities and special needs. He is skilled with lifting/support techniques as well as personal care, senior exercise as well as working with stroke and dementia patients. Mark has two years experience working with seniors in a home environment and is currently working in a nursing home. He is quiet with a good sense of humour and is a good cook. Jimerick is a primary school teacher at his church and has taken a 6 month course as a live in Caregiver where he learned to work with children, seniors, and people with special needs as well as all household duties. His training involved working with children and seniors with needs. Special courses in First Aid, Basic Life Support, Pediatrics with Special Needs, Cerebral Palsy, Autism and Household Services. 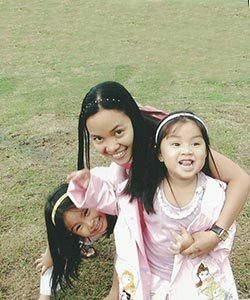 Baby Rhoda has 4 years experience working as a Nanny to two children in UAE as well as 2 years experience as a Babysitter at the Philippine Global School in UAE. 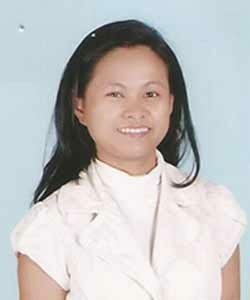 Prior to this she worked as a private tutor in the Philippines. She is very interested in working as a Nanny in Canada. She enjoys cooking, camping and swimming. Rhoda is currently working as a Dental Nurse in Saudi Arabia and is applying for a Caregiver position in Canada with children or seniors. 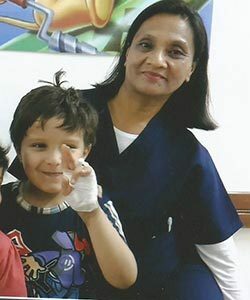 She has experience with all ages of children and experience with seniors which include a special course in Alzheimer’s. Rhoda has experience with all household duties however needs improvement with her cooking skills. 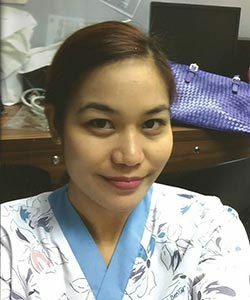 Prior to working as a Dental Nurse she worked as a Staff Nurse for one year in the Philippines. She describes herself as caring, humble, reliable and dedicated. 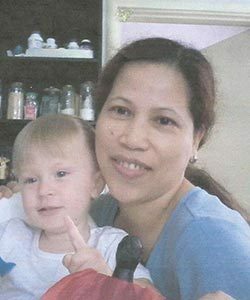 Mercedes is currently working as a Nanny/Domestic Helper in Hong Kong for four years and caring for three children under the age of four. She is responsible for child care, housekeeping, and cooking. She loves to cook and can prepare western dishes such as chicken fajitas, beef tacos and her favorite to prepare is chicken noodles. She can also prepare Chinese dishes for you which would include shrimp noodles, soups, fried rice. She is very excited to see and feel snow when she arrives in Canada. Rowena has several years working as a Nanny/Caregiver. She worked for a family in UAE with 8 children and 2 adults. She loved working for this family and they treated her very well as they were grateful for her help. She was unable to extend her contract after two years as the family moved to Iran. 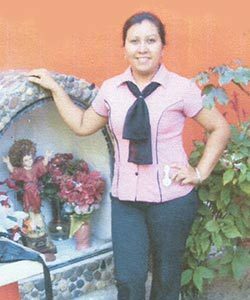 She was responsible for the kids, bathing, feeding, homework, walking to school, preparing three meals a day, light housekeeping and help running the home and all duties pertaining to the children. 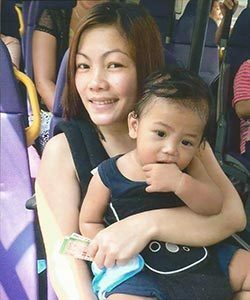 After UAE, Rowena moved to Hong Kong and continued to work as a Domestic Helper for two more families. She enjoys reading, exercise and nutrition. 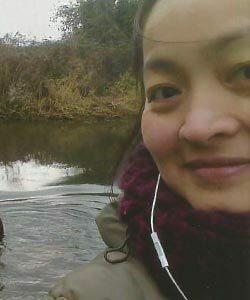 Geraldine has been working as an English as a Second Language Teacher (ESL) in China since 2009. On her time off from teaching she works part time as a Nurse Assistant and as a Domestic Helper with a family. She helps with the kids, meals and housekeeping. She can drive a car, swims, likes dogs, and enjoys reading, dancing, basketball, ping pong and watching movies. Raquel is a kind and responsible lady who enjoys sports, watching a dramatic movie, listening to mellow music and picnics with friends. 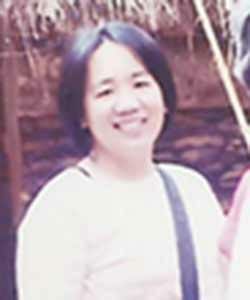 She has experience as a Domestic Helper from working in Hong Kong for a few years. 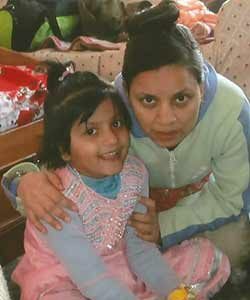 She is very interested in coming to Canada to work for a family and care for children. 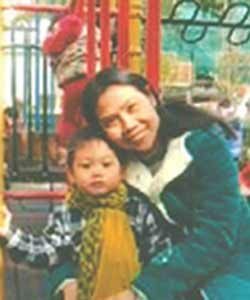 Mary Ann is currently working for a family in Hong Kong as a Domestic Worker and cares for two children. She is also responsible for household duties and cooking. She has been with the family since 2014. Mary Ann enjoys reading, cooking and gardening and describes herself as outgoing and family oriented. 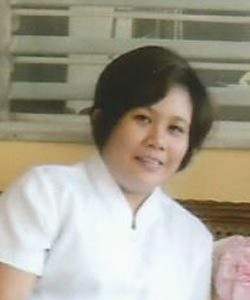 Maria is a Nurse and has been working in Singapore as a Maid/Caregiver with a senior and prior to that she has worked with two families as a nanny (Singapore & Philippines). She enjoys swimming and badminton. She is available for employment in Canada and would like to works as a Caregiver for children or with seniors. Ronald is a Nurse with years of experience. He drives, swims, and has First Aid & CPR certificate as well as courses in critical care, disease management and coronary care. 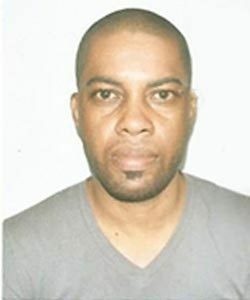 In addition to his nursing experience, Ronald has worked as an instructor for a Caregiver course and instructed students on child care, special needs and geriatrics and assisting people with activities of daily living and trained to respond to immediate health and medical issues. 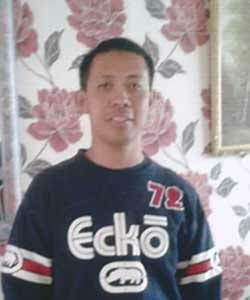 Ronald is a sociable person and enjoys being around people, he has a good sense of humour and a positive disposition. 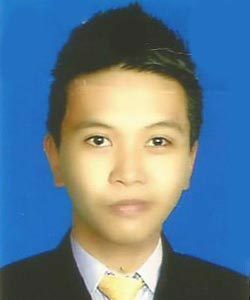 He has experience with all household duties, loves to cook and prepares nutritious meals. He is looking forward to working in Canada with seniors or with children. Honey graduated and was offered a position in a publishing company. She decided to take a Caregiver Training course for the opportunity to work in Canada as a Nanny. Honey has experience from raising her own children as well as caring for family and friends children for years. She describes herself as a bit shy, friendly and approachable. She enjoys spending her spare time at home, cooking, cleaning and baking for her family and enjoys outdoor activities such as walking, hiking and swimming. She is very interested in coming to Canada to work as a Nanny with children. 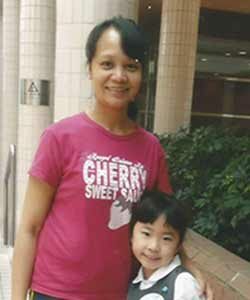 Charielyn has been working as a Domestic Helper in Singapore since 2004. She has had four employers during this time and has worked with children, and adults with illness and disabilities. 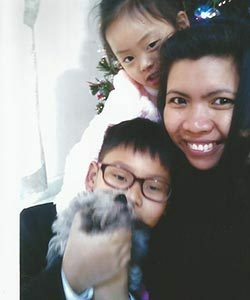 She has found her years as a Nanny and Domestic Helper inspirational and fascinating and would like to continue her career as a Nanny or Caregiver in Canada. 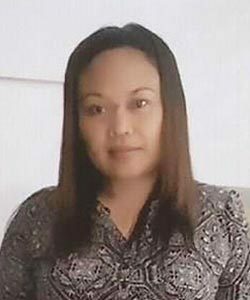 Charielyn has experience will all household duties as well and running the home and to improve her skills she has taken cooking and baking courses in Singapore. She has excellent references that speak to her excellent cooking skills, diligence and reliability. Marichu speaks Tagalog, English and a bit of Arabic and Malaysian. She is a good cook and currently works for a family that is vegetarian therefore she has learned new dishes that are no salt, gluten free, no sugar, no dairy and no chocolate but she improving her knowledge of healthy cooking. She would like to prepare her new employer chicken or pork Adobo which is a speciality dish in the Philippines. Marichu has experience with all ages of children and all household duties. She cooks and is willing to learn new recipes. Jamilyn loves to sing with the church choir and plays a few instruments. She enjoys skating, biking, roller blading and loves to cook and bake and invent new recipes. Jamilyn is very interested in obtaining a position in Canada with children. She has experience with seniors as well however children bring so much joy and she truly enjoys spending time reading, playing games and teaching them. She assisted her Mother in the day care centre and she enjoyed that time very much. Sylvia has been working in Hong Kong for the same family since 2014. She cares for a family with two children and their 85 year old relative. The family has extended her contract and support her with her decision to work in Canada. Sylvia’s parents and her sister live in the Niagara Falls area. She would like a position in this area to visit on her time off. In addition to her above education she has taken courses for First Aid and Basic Life Support as well as pool therapy and seminars on caring for children with special needs. 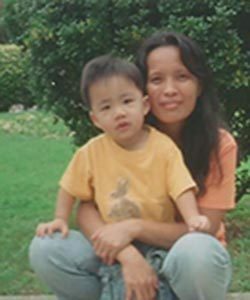 Jeanette has worked as a Caregiver in Hong Kong since 2013. They are a kind family who treat her as part of the family. She cares for the children and a senior relative plus three dogs. She loves to cook however usually simple meals but enjoys learning new recipes from the internet. She also enjoys baking. Jeanette is seeking a position as a Nanny/Caregiver with children. Shirley had a wonderful experience working in Hong Kong. 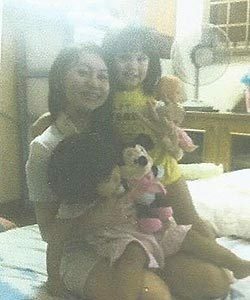 She was employed as a Nanny with one family for two years and with her second employer she cared for their Mother and daughter. She was only there six months as the family returned to Singapore. Shirley has a passion for caring for people. She was responsible for caring for her six siblings while her parents worked and now she cares for her three daughters and her aging parents. She has experience working overseas and now that her children are older she would like to come to Canada to work as a Caregiver to help provide for her children and provide a good education. Shirley can accept any offer with children or seniors and is experienced with housekeeping and cooking. Jessie speaks English, Tagalog and Chinese. She enjoys cooking (and is a good cook! ), reading and cross stitch. She has experience caring for children, seniors and running a home for a family. 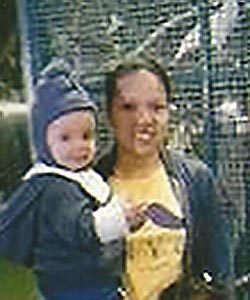 Jessie has 14 years experience as a Domestic Helper in Hong Kong. She has cared for newborn babies for three employers and senior care with a fourth employer. One employer stated she is a dynamic worker who will go the extra mile on everything she does. They would not hesitate to hire her to do the job and be confident that the job would get done very well. Carlina speaks English, Tagalog and Arabic. She enjoys cooking, baking, reading, singing, watching the news, walking and biking. 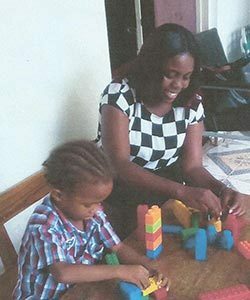 Carlina is applying for a position as a Nanny for children or a Caregiver (Nurse’s Aide) with seniors. Carline has been working as a staff nurse in Saudi Arabia since 2010 and holds a part time position as a part time Nanny/Caregiver caring for a 1yr old and a 55 yr old since 2015. Carlina says she is not a fanatic onliner like others nowadays. she prefers to be home cooking, baking, cleaning and organizing. Cooking is her favorite past time and likes to discover new menu ideas from other countries. Baking is her greatest dream and hopes to learn how to make good pastries. Nova is applying for a position as a Nanny/Caregiver with children. She loves children and is currently working in Hong Kong with a great employer for five years. She has been with the family since their daughter was a newborn. She loves to cook and learn new recipes from different cultures as long as a cook book is available. Nova’s dream is to continue her career working with children and caring for families. She would like to come to Canada when her contract is up in Hong Kong. Carolina speaks Ilocano, English, Tagalog and Arabic. She enjoys cooking, baking, housekeeping, reading books and magazines and teaching. Carolina has been working at a Children’s Hospital in Libya as a Midwife/Nurse with children newborn to 17 yrs old since 2002. Prior to this position she was a caregiver to a senior with Alzheimer’s in Taiwan for 3 years. She also has experience workings as a medical assistant for 4 yrs in the Philippines and a Nanny for a two year old in the Philippines for 1 year. She loves her current position working on the children’s wards such as oncology, medical ward, I.C.U and the nursery and finds it very regarding. She is seeking a position in Canada as a Nanny with children (has experience with all ages) or as a Caregiver for a senior. 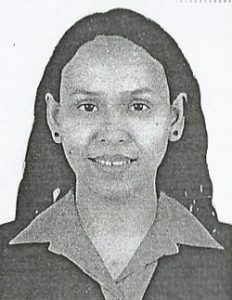 Almira enjoys biking, reading, cooking, dancing and learning new things. She has experience with all ages of children and interested in working as a Nanny/Caregiver with a Canadian family. 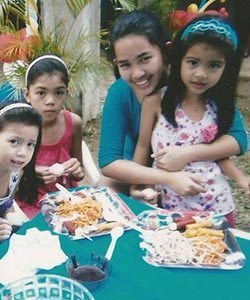 Almira grew up in a home with nine siblings. At a young age she was taught how to care for a home and take care of her younger siblings. 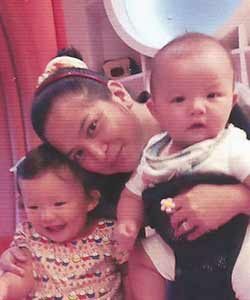 She has been working in Hong Kong for four years as a Domestic Helper with children from newborn to 5 years old. The child she currently cares for calls her “CheChe” which means older sister or Aunty. She finds working with children is very fulfilling and she enjoys watching them grow and become good people. Esther is seeking a position with children or with seniors. She has experience with both through her education and previous work experience. She is currently caring for a 92 yr old woman with Alzheimer’s. She is responsible for her full care and enjoys spending time with her telling her stories of her family and childhood. Prior to this position she worked as a Nanny for one year caring for an infant. Esther can prepare nutritious meals and snack and has experience with all household duties. Esther is a licensed Midwife and a Professional Nurse and is currently working on her Masters in Nursing – Psychology. Lee Ann enjoys photography, reading, cooking, painting, organizing events and volunteering. She is a Nurse and currently working in a Medicare Centre in Singapore with adults 40 yrs and up. She is responsible for daily care and simple procedures. Lee Ann has experience with Parkinson’s, Dementia, Stroke as well as recreational activities in the hospital. In her free time she enjoys cooking, reading, writing short stories and discovering new places. She has experience working with children and seniors and is looking forward to working with a Canadian family. Jacqueline enjoys swimming, dancing and cooking pasta! She has her driver’s license in the Philippines and willing to take lessons in Canada if required. She has been working at a hospital in Saudi Arabia since 2006 on a male medical surgical ward. She loves her job and caring for people. She is also responsible for teaching their family members proper care for after discharge. She is proud to be a Nurse and wishes for an opportunity to work in Canada caring for seniors or children. Pamela has experience with all ages of children, disabled children and adults as well as senior care. She is a licensed Teacher and a Registered Nurse. She taught pre-school for two years before returning to school to pursue Nursing. 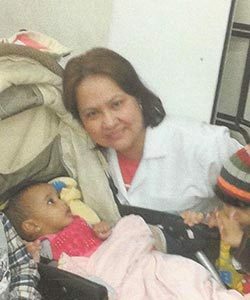 She worked for two years in a government hospital in the Philippines prior to working in UAE where she works as a home care nurse with children and adults in their homes. Pamela is interested in a position in Canada as a live in Caregiver with children or seniors. Myrna enjoys reading, being outdoors and watching movies. Myrna is seeking a Nanny/Caregiver position with children. She is currently working as an Administrator at a college and prior to worked as a school bus Nanny for a girl’s school for 6 years. She has had the opportunity to assist teachers with developing lesson plans as well as test and assignments as well as supervising the children. Myrna is from a family with 11 members, has experience with all ages of children and all household duties. She is capable of caring for a family with 3 to 5 children. Nolimar enjoys listening to music, watching the news and basketball. He is looking for a Caregiver position with seniors or adults with disabilities or special needs. He has experience with all household duties including cooking. He worked in Australia from 2000 to 2004 as a Nursing Assistant as a Health Care Assistant in the UK from 2008 to 2012. Nolimar has special courses/certificates for Parkinson’s disease, Pressure Area Care, Safeguarding of Vulnerable Adults Awareness, Skills for Care, Community Services (Aged Care Work)-Nursing Assistant, Palliative Care, First Aid and Medication Handling System. Nolimar has wonderful references from previous employers. 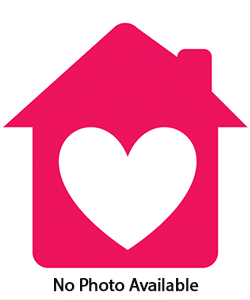 Cassandra is seeking a position as a live in Caregiver with seniors in Canada. 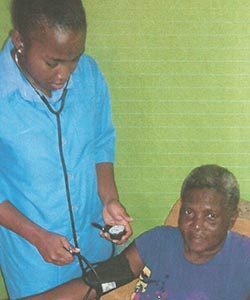 In addition to her diploma in Practical Nursing she has been trained and certified as a Practical Nurse by the Health, Education and Counselling Institute in 2011. She currently works as a Nurse and a second job as a Data Entry Clerk. 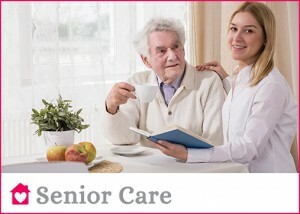 She has experience in all areas of senior care, housekeeping and preparing nutritional meals. Stephanie is seeking a position as a Caregiver /Nurse for seniors. She is currently working in a hospital and has previous experience as a school Nurse. She has been working in hospitals since 2002. Stephanie drives, is a good cook and enjoys singing, reading and working with people. Ann Marie is a Nurse and has worked as a Nurse as well as a Nursing Tutor/Instructor. She enjoys listening to music and learning new things. Ann Marie is a good cook and takes pride in her housekeeping skills. She is seeking a position as a Nanny with children or a Caregiver with seniors. She is a hard worker and has a good sense of humour. Kaylah is applying for a position as a Live In Caregiver with seniors. She has certificates for Nursing Aid as well as Geriatric Nursing. She has good cooking skills and takes pride in her housekeeping skills. She has worked as a Nursing Assistant in a nursing home as well as a secretary. She enjoys spending time with her family. Omaeca has certificates in Geriatric Nursing, Social Work as well as Business Administration. 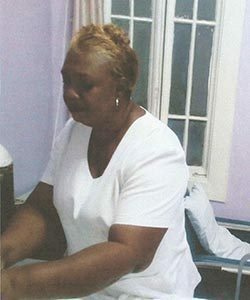 She is currently working as private Caregiver and has experience working in a Nursing Home as well as a residence caring for individuals 25 to 98 years old requiring nursing assistance for bathing, personal care, daily grooming, Alzheimer’s, medication, catheter care and housekeeping. Omaeca also loves children and has experience counseling, educating and encouraging children in her community. She has nominations for Youth Counselor, Assistant Youth President, Youth Choir Director and Infant –Young Adults Teacher- these are posts she still holds.